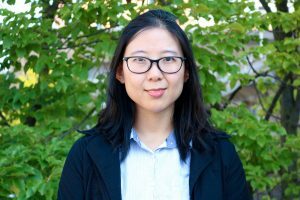 Yin Wu (Winnie) is a doctoral student in SJMC at UW-Madison. She received her BA in Journalism from UW-Madison and her MA in Media Studies from Syracuse University. She had experience working for China Central Television (CCTV) in Beijing. Her research interests mostly involve political communication, new media and social networks especially in Chinese context. She recently focuses on studying the interaction of deliberative norms and counter-discourse in the public sphere and the role of new media in this process.